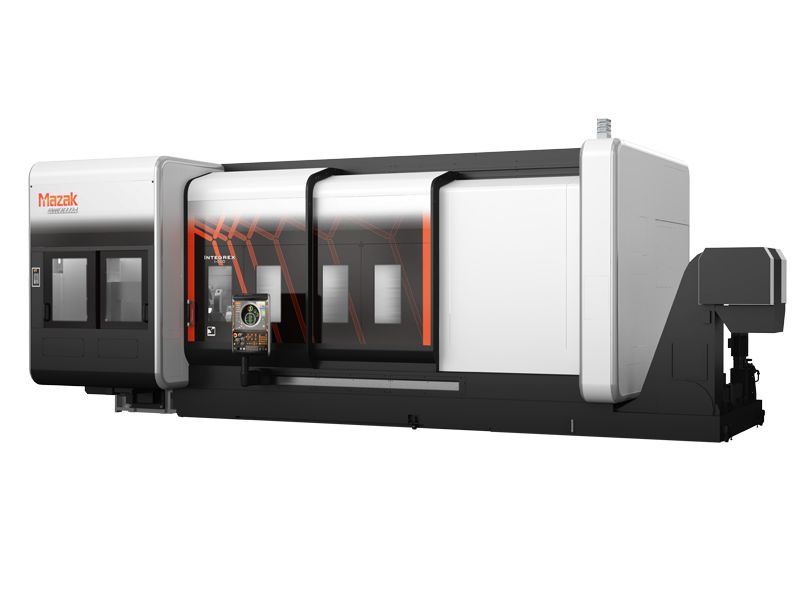 The latest version of Mazak’s flagship INTEGREX i-series range. It is equipped with additional bed length for machining long complex workpieces, with the benefit of reduced interference between the turning and milling heads. The INTEGREX i-500ST is the largest member of the "INTEGREX i" series with the maximum machining capacity of φ 700mm. It is equipped with a high output, high torque main spindle and the newly developed compact milling spindle head which is smaller than comparable machines to provide a larger machining area. Higher accuracy is ensured thanks to all machine units designed with the maximum rigidity and the standard equipment high-precision scale feedback system for the B- and C-Axes. The machine design focus on ergonomics provides exceptional ease of operation and maintenance with features such as convenient tool magazine access at the front of the machine and the wide and low front door opening for excellent accessibility to the machining area. The wide range of specifications available for the main spindle, second spindle and milling spindle and other machine units make it possible to select the most suitable specifications to meet the production requirements of a wide variety of industries. Available factory automation equipment such as a high-speed gantry robot which can be located at either the left or right side of the machine and floor mounted articulated robots can be used for unmanned operation.